A lecturer for an International Terrorism course was blocked from teaching this semester, due, according to one source, to recently tightened visa regulations. Before the beginning of the semester, the academic discovered he would be unable to work, and the course did not have a permanent lecturer until the beginning of week 4. Dr Michael Zekulin, the original professor of the course, was set to come to ANU to teach POLS3036, an elective for many degrees including Security Studies, International Relations and Criminology. Zekulin moved from Canada to teach the course. However according to Dr Andrew Banfield, who served as a temporary substitute lecturer Zekulin was unable to work in Australia due to visa issues. 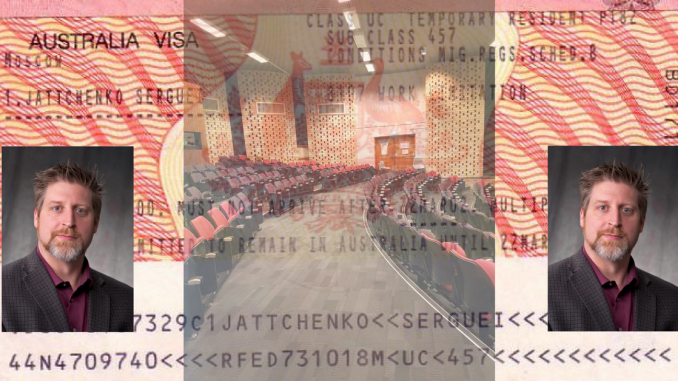 While unwilling to comment on the exact nature of the visa issue, Banfield told the class that “[Dr] Mike [Zekulin] is still waiting for the piece of paper that says that he is allowed to work in Australia. The irony of tightening up the visa regulations to keep up the undesirables was subsequently blocking a Canadian counter-terrorism expert.” ANU Media declined to comment on why Dr Zekulin was unable to come to ANU this semester. Temporary lecturers taught the class for the first three weeks of the semester, including Dr Adam Henschke and Dr Banfield. Dr Shannon Ford from the National Security Department at the Crawford School of Public Policy was set to teach the course permanently, however he was situated in America and only was able to start teaching the course in week four. As a result, students are now three weeks behind the planned syllabus. ANUSA’s CASS representatives were contacted but unavailable for comment before publication. ANU told Observer that “another lecturer has taken over the POLS3036 International Terrorism unit for the second semester, and the class will continue as scheduled. The syllabus remains the same and no material has been missed. Dr Zekulin is expected to take up his position later in the year.” ANU also declined to explain why a permanent substitute lecturer was not available at a more earlier stage of the semester. ANUSA was not informed of the lack of permanent lecturer for the course. According to Vice-President, Eleanor Kay, “ANUSA treats these issues very seriously… it is not a fair outcome for students and will be followed up on.” Kay said students who are experiencing similar issues or are worried about the effects of this are welcome to contact ANUSA at [email protected].